Seattle-based Novel Effect is a leader in voice-driven entertainment and media that uses voice to put customers in control of their favorite books, videos, and games. The flagship mobile app, brings your favorite stories to life, following along while a storyteller reads out loud from a print book. 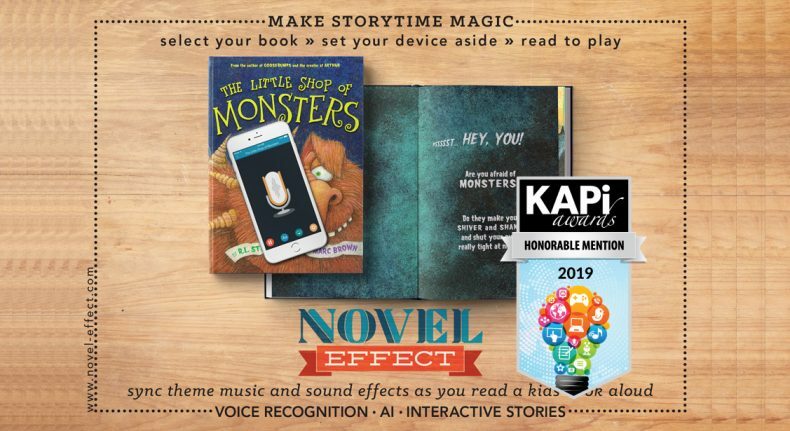 As parents, teachers, and kids read aloud from over 200 available books, Novel Effect recognizes where they are in the story and plays background music, sound effects, and character’s voices at precise moments. The app’s AI recognizes where the storyteller is in the book allowing the experience to adapt to their voice. Users can pause and talk about specific sections of the book, read out of order, or read their favorite parts over and over without missing a beat. The Novel Effect experience shows how modern technology can be used as a tool to elevate and augment the age-old ritual of reading aloud, offering a unique family-focused immersive and wonderful experience centered on classic and favorite print books.